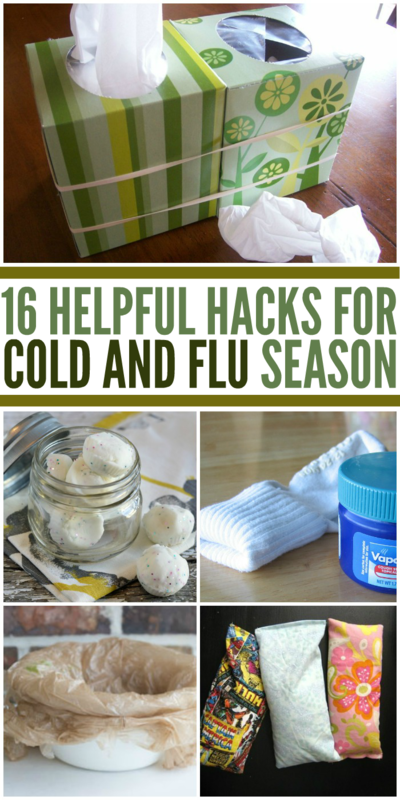 It’s that time of year again… the dreaded cold and flu season. Are you prepared? Should you or your family come down with an illness, we have some health hacks that may just make your life a little easier. Read up, and get well soon if you’re already sick! Use a rubber band to pair an empty tissue box with the one you’re currently using. So handy when you (and likely everyone in your house) have a drippy nose! Vicks shower tablets plus a nice hot shower spells relief when you’re congested. Put Vicks Vaporub on your feet, and then put on a pair of soft, comfy socks when you have a cough. We don’t know why it works; it just does. Did you know it’s also good for muscle aches and headaches? Often, with the flu comes lots of puking. And if it’s your kid that’s puking, you know just how icky that can get. Save yourself a lot of cleaning up by lining a small trash can with several bags and changing as needed. You’ll thank us later. Make reusable heat packs to stay nice and toasty when you’re feeling chilled. Honey and lemon can soothe a sore, irritated throat. 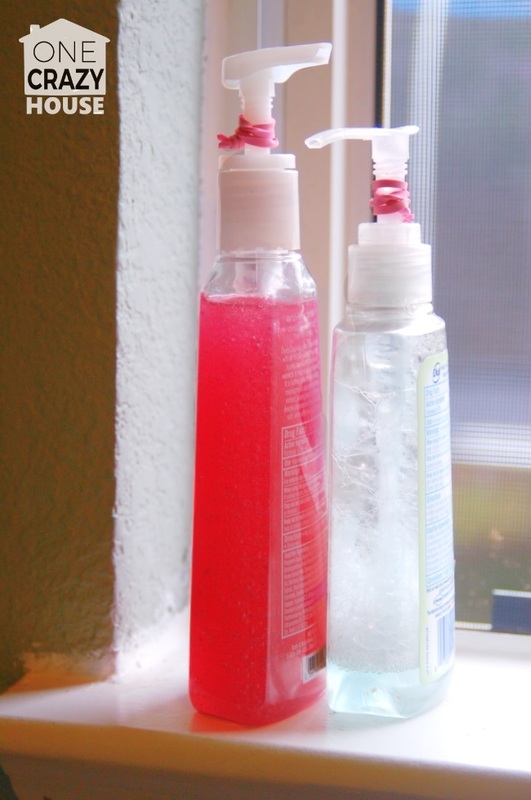 Out of disinfectant wipes, but don’t feel like going to the store? 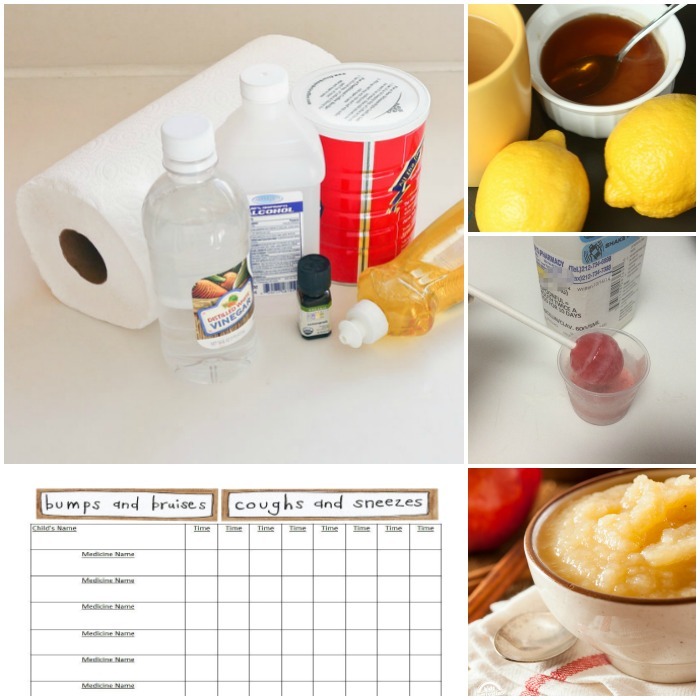 Make your own with paper towels (or reusable clothes) and ingredients you already have at home. Popsicles can soothe a sore throat, too. Our homemade creamsicles are packed with orange juice, so you get a good dose of vitamin C with your snack! Having trouble getting the kids to take their medicine? Dip a lollipop in it again and again until the medicine is gone. Once it’s gone, let them finish the lollipop. Applesauce is also a good way to hide the icky flavor of medicine. You can try other mashed fruits (such as strawberries) as well to suit your child’s palate. Use an app or printable medicine tracker to keep track of when your child last took his or her medicine. It’s a handy tip for adults, too! It seems strep spreads quickly during cold and flu season, too. Keep track of your child’s antibiotic doses on the back of the bottle. When traveling with sick kiddos (to and from the doctor, most likely), hand sanitizer is a must. Here’s a homemade version that uses simple ingredients. Add moisture to the air by putting on a pot of tea or simply boiling the water on the stove top. Dry air is irritating to the throat and nasal passages. If you’re looking for an excuse to eat marshmallows, here it is: the gelatin helps soothe irritated throats. Yippee! Not a fan of commercial cough drops? 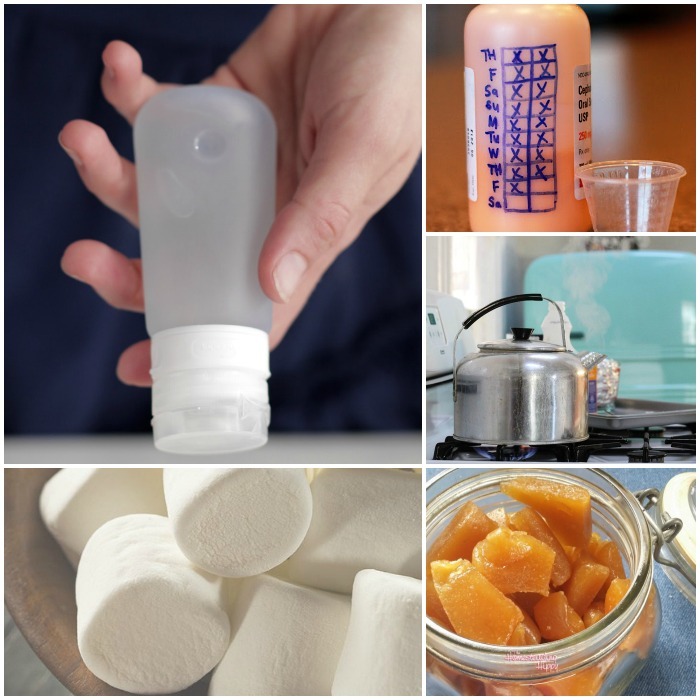 Make your own homemade coughdrops using natural ingredients. It’s easier than you think!